These guys should massively help me however, because of magnets. I magnetised a couple of Guard boys, and a couple of marines, and never found myself using anything but the best options, so the rest stayed stuck in the bag. With these boys I’m at least going to get some use out of them as I’ll probably start another campaign soon enough! A couple of these are magnetised further at the hilt, to allow for future-proofing if GW releases more crazy options. The magnets are strong enough so that I can squish them down into their carrying foam and their arms not ping off randomly. Meaning transportation isn’t much of an issue. 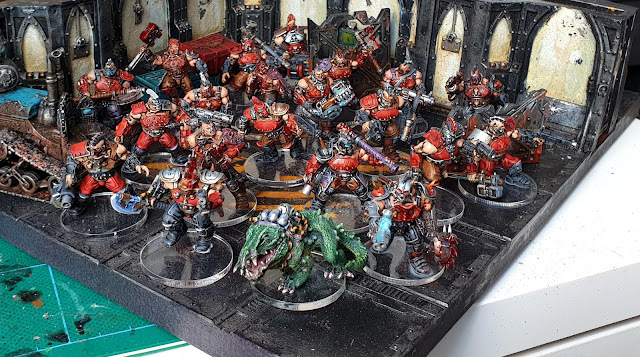 I must admit, I love the richness of the red, very deep and as he pointed out, very Blood Angels. That panel does look deeeeeep. 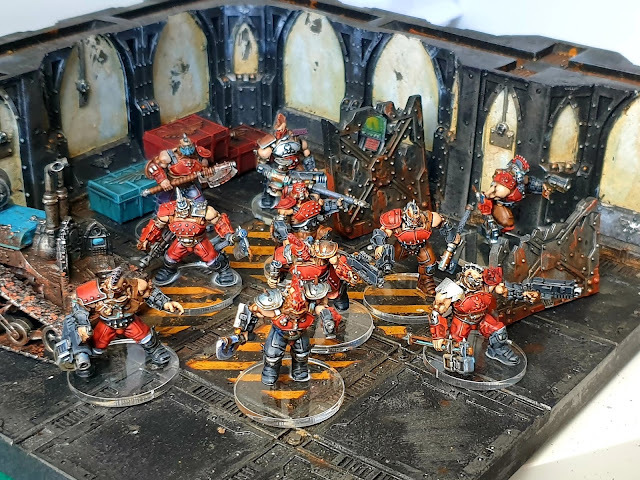 Will be remembering this colour for my Word Bearers, for the gang however it was slightly too dark, so as an exercise I’m glad I tried it but I left it as a panel option.